How well did you find your way around 1976 Chicago? 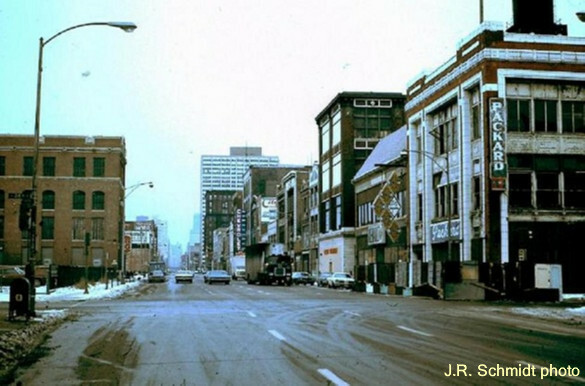 South Michigan Avenue was Chicago&apos;s original automobile row — note the onetime Packard showroom in the 1976 photo. Two blocks north on Michigan, the Lexington Hotel is visible in front of the tall modern building. Though the neighborhood is trending upward, both of these landmarks are now gone. And after decades as a one-way street paired with Indiana Avenue, this stretch of Michigan once again accommodates two-way traffic.